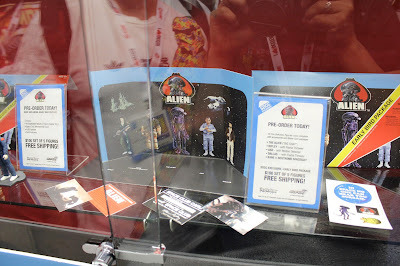 Before San Diego Comic Con 2013 began, we did heavy research on what we were looking forward to seeing and purchasing. 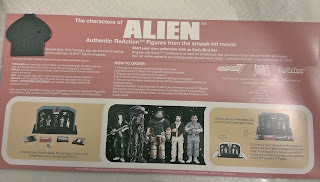 One of the few exclusives that were a must have were the Alien ReAction figures from Super7. On preview night, Wednesday, July 17th, we were on target to head straight to booth #5245 and it appeared that everyone at SDCC were also following our lead. 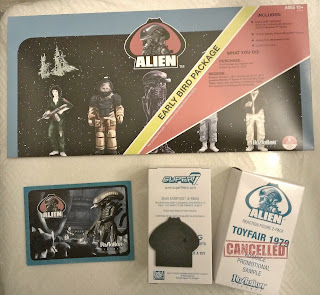 Super7 has been working with 20th Century Fox to finally bring this Alien line to life and it has only taken 34 years to do. When Alien originally came out in 1979, there were plans to release action figures with the film, but failed in being released. 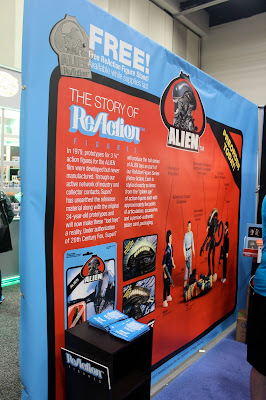 Prototypes were created and came very close, but it never happened until now. Super 7 would get the original sculpts and prototypes to bring them to life and give the fans that vintage style that I love. 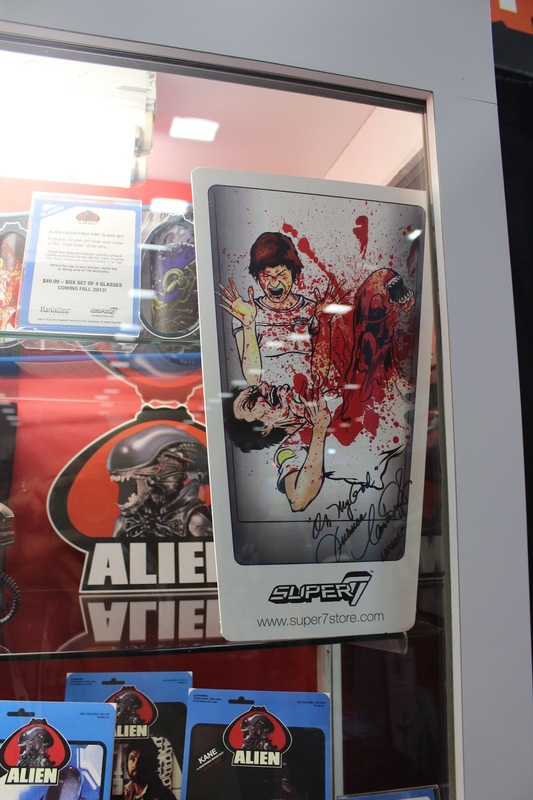 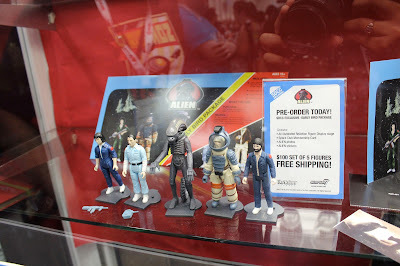 Super7 had a great booth featuring their very promising Alien Reaction Figure line. They had the first five figures Big Chap, Ripley, Ash, Dallas and Kane in Space Suit that would be available to pre-order on display where San Diego Comic Con attendees could get a special treat in a Early Bird Set, created like the Star Wars Early Bird Kit. 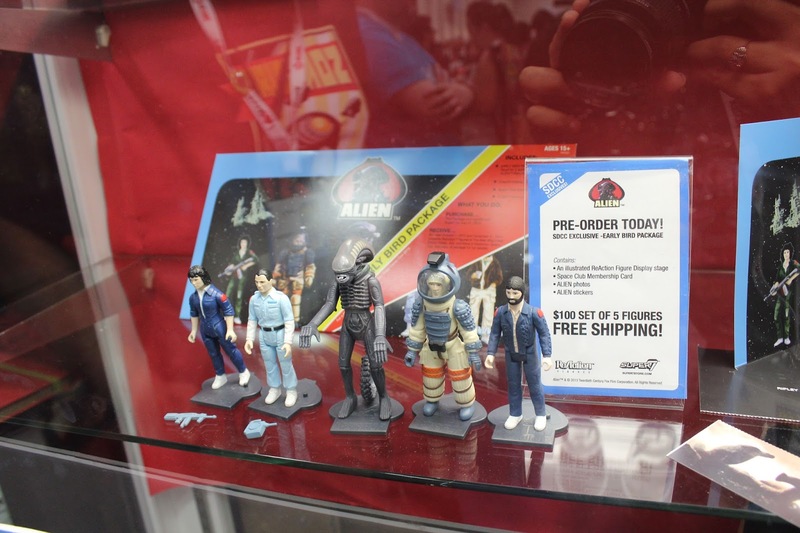 The kits were made available to pick up for each pre-order of the figures that will be shipped beginning this October 2013. 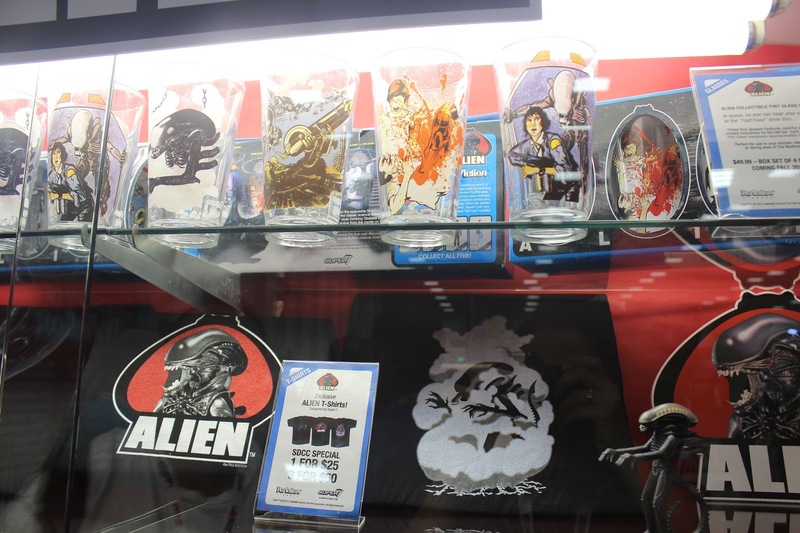 Amazing retro glasses were also available to purchase. 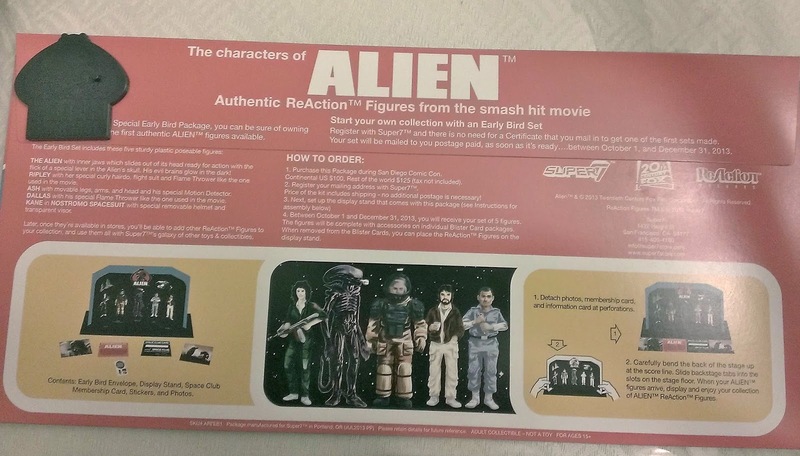 Another set that was available was the extremely limited Alien ReAction "Discovered Sales Sample" 2-pack, which sold out on preview night. While we did have to wait in a long line at Super7, the wait was extremely worth it, especially knowing that the "Discovered Sales Sample" 2-pack would sell out at preview night. 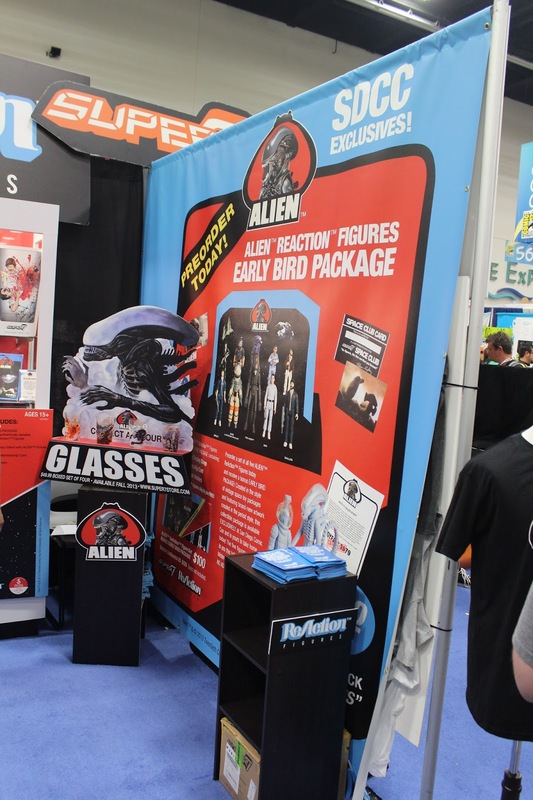 The Alien Reaction figures were a definite hot topic in line, which had the likes of Luke Chueh and other amazing custom toy artists waiting to buy the Alien figures. We also had the opportunity to Interview Travel Channel's Toy Hunter, Jordan Hembrough who mentioned that he was looking to head to Super7 to get his hands on the Alien ReAction Figures. 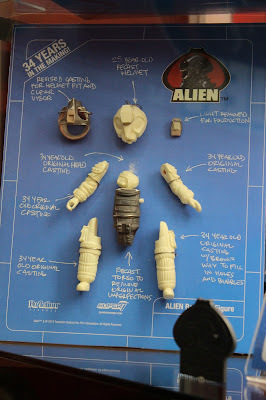 Super7 has definitely done an amazing job in bringing the original Alien figures to life and we are glad to finally see it happen, only 34 years later! We can not wait for the figures to come to us this October. 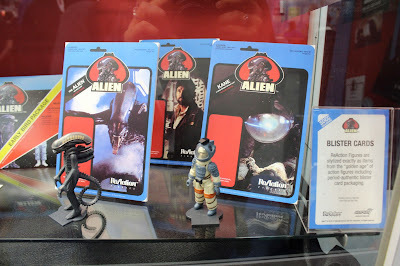 We will definitely share and review the figures once they ship.